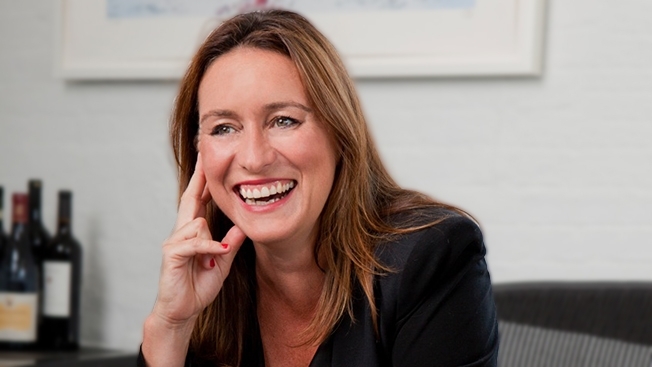 Sophie Kelly has left The Barbarian Group after serving as chief executive officer for two years. Korea-based holding company Cheil Worldwide, which bought a majority stake in the agency in 2009 and later acquired Durham, N.C.'s McKinney, will replace Kelly with its now-former chief digital officer, Peter Kim, effective immediately. "After a series of leadership changes at Cheil headquarters … we have made the decision to transition the CEO role from Sophie Kelly to Peter Kim," a Cheil Worldwide spokesperson told Adweek. The nature of those leadership changes is unclear at the moment, but Kim joined Cheil in 2014 to fill what was then a newly created role, as the holding company looked to strengthen its digital offerings for clients around the world. Kim had previously held several leadership positions at stateside agencies, serving as a consultant at Razorfish Boston and managing director of R/GA's Austin office in addition to in-house stints at Puma, Forrester Research and the Austin-based advisory firm Dachis Group. Kim moved to Seoul to join Cheil last year and he will relocate to New York to lead The Barbarian Group moving forward. "We greatly appreciate the vision and passion Sophie Kelly brought to the agency during her four fruitful years," Cheil's spokesperson told Adweek, "and want to take this opportunity to thank her for her hard work in moving the agency forward." Kelly left her position as managing director of New York's StrawberryFrog to become president of The Barbarian Group in 2011. She brought an extensive agency background to the role, having spent nearly a decade with the J. Walter Thompson organization in both New York and her native Australia. Kelly was promoted to CEO two years later when Barbarian co-founder Benjamin Palmer—who had served in that role since the shop's launch in 2001—became chairman. This year, The Barbarian Group made several strategic hires, poaching executive creative director Edu Pou from Wieden + Kennedy Amsterdam and eventually promoting him to chief creative officer while hiring a new chief strategy officer and head of operations and promoting tech director Robert Christ to the chief technology officer position. The tech-centric agency also recently scored several new business wins including Etihad Airways and Kind Snacks. The Barbarian Group counts Samsung, PepsiCo and GE among its clients, and its most recent project—the limited-time relaunch of Crystal Pepsi—broke this week. "We are confident that this period of transition will be seamless for all parties involved," the Cheil spokesperson said. "Under Peter's direction and expertise, we look forward to a successful 2016."